Do you want to know how to deal with a child’s toothache? Being a parent, you are responsible for taking care of your child. No parent wants that their child faces this unbearable pain. 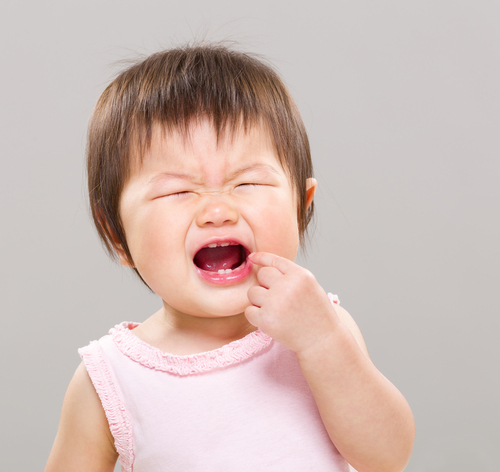 Toothache is a very common ailment that affects children. It is quite a frightening moment when the child complains about a toothache to their parents. So, what you can do if your child tells about this insufferable pain, you should be aware from natural remedies or treatments through which you can easily alleviate this pain. Some natural treatment options are available for both adults and kids. But before knowing the treatments, you should know about the cause of this unbearable pain. Well – If your child has a toothache then here you come to know about the natural treatments that help to get rid it within no time. Luckily – Here you come to know the best way to get rid of tooth pain with the help of simple and natural home remedies. Brushing and flossing is the prior step that helps to alleviate the pain within a couple of seconds. Brushing will help to get rid of bacteria and flossing help to remove plaque that can cause bleeding in gums. Warm water mixed with salt is the ever best solution which helps to kill the bacteria of mouth. Give a glass of warm salt water and begin with swishing and rinsing his or her mouth with this solution. Salt has anti-bacterial properties, and warm water helps to reduce pain and swelling of gums. To get the best result, you ought to repeat the same process several times. Take a cotton ball and squeeze a little amount of clove oil on it and apply it directly to the affected area. Clove oil has anti-bacterial properties which help to numb the pain. If you are looking for an immediate result, then you should adopt this method. It is very simple; you can put an ice pack or cold compress on the outside of cheeks, it helps to numb pain within no time and even more reduce swelling, but a cold compress does not help to reduce swelling which is caused by tooth decay or plaque. It is the best-proven remedy which brings immediate relief from this unbearable pain. Take a small amount of hydrogen peroxide and tells your child to rinse and swish with it as a mouthwash. And the most important thing is that you should be careful that your child never swallows or ingest this solution otherwise it cause some serious stomach issues. Get fresh peppermint leaves and put it against your affected tooth. Take a warm peppermint tea bag and press it against the affected tooth of your child. You can also use peppermint essential oil for healing the toothache. You can add this essential oil to clove oil and mix it very well. After that, put this mixture onto a cotton ball and apply it directly to the affected area for a toothache cure. Vanilla extract is the best remedy which helps to fix the pain of tooth within no time. And the most amazing thing is that the flavour of vanilla has the calming effect with teething. You can apply it to the fingertips and start gently rub it on the tooth and gums. Garlic has anti-bacterial properties which help to kill the bacteria and even more alleviate the pain very quickly. You can take a fresh clove of garlic and apply it directly on the affected tooth of your child. Tells your child to press this clove against the affected tooth. After that, rinse with fresh water. Thankfully – you unfold the question that what to do if the child has a toothache.